" Hard Drive Data Recovery Service for Laptop and Desktop Hard Drives "
Recovery vs. Repair vs. Forensic !?! Let's take a few minutes to clarify... Logical / Non-Invasive Recovery. 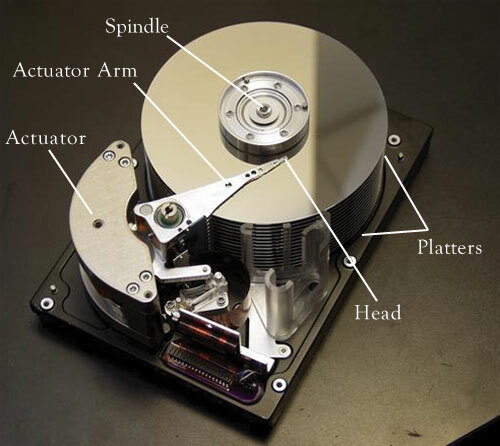 The first and usually most inexpensive form of hard drive data recovery is Logical. This describes any drive that has suffered some type of file system error, dropped partition, accidental format and/or deleted files. In most cases even if you have preformed a total reinstall of your OS we would be able to recover your valuable data. There are a few things you can do to increase the chances of a successful hard drive recovery. First and most important power off the hard drive, do not cycle the power repeatedly. This will not help and in many cases can cause electrical issues that will further damage the disk. Remove the hard drive from the PC if you are able, if not we will be happy to assist you with this process. Prepare the hard drive for shipment to our lab; securely package the drive with static proof bags when available. Then contact a qualified hard drive repair service such as Laptop Data Recovery 1-877-230-3282. We will walk you through the rest of the process in about 5 minutes and you will be well on your way to recovering all of your lost data.